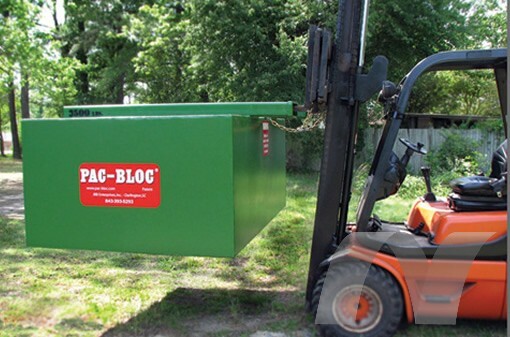 The Pac-Bloc is the only roll-off compactor on the market. 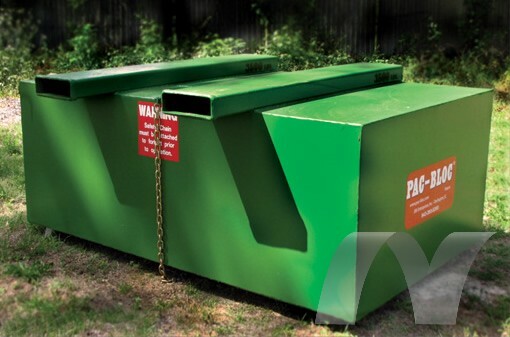 By compacting material in a roll-off container, the number of hauls to the landfill is reduced, thereby saving you company money each month. It is safe and easy to use. 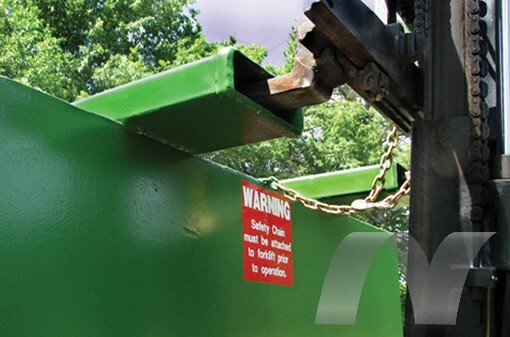 The Pac-Bloc works with 20, 30, and 40 yard containers and is available in 3500 or 5500 pounds. 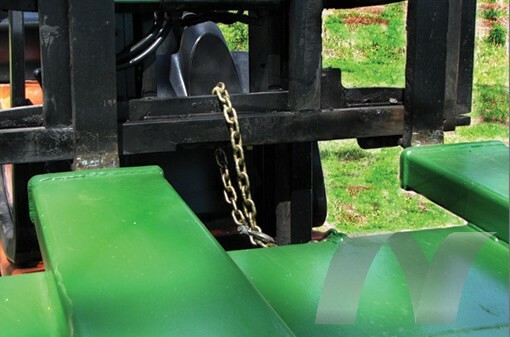 Simply drive the forks into the lift channels. Lift the Pac-Bloc over the container, and lower. Watch the Pac-Bloc go to work for you.